In my head sewing is easy and everyone can do it. In reality, I stink at sewing and its a skill that you have to practice at. I’ve tried sewing before and gave up. Yall, I couldnt even sew a straight line on a fabric scrap. Im not sure what happened but I got the sudden urge to sew again this past month. I decided I needed to make something of use with my new found love of sewing. I looked around my house and realized I need new kitchen curtains. 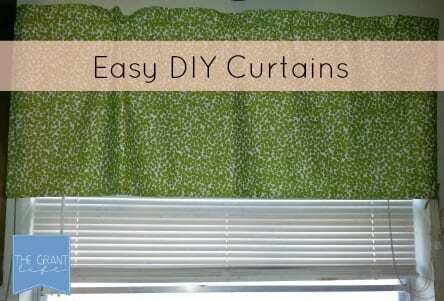 Trust me, if I can make these easy DIY curtains, you can too! 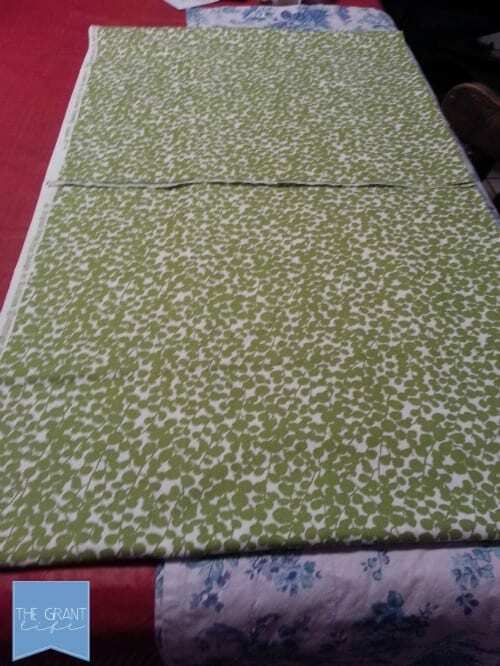 3 yards of fabric* – I was making curtains for two windows. Measure your window and then double it and add a few inches to get the yardage you will need. Take your fabric and fold it in half. 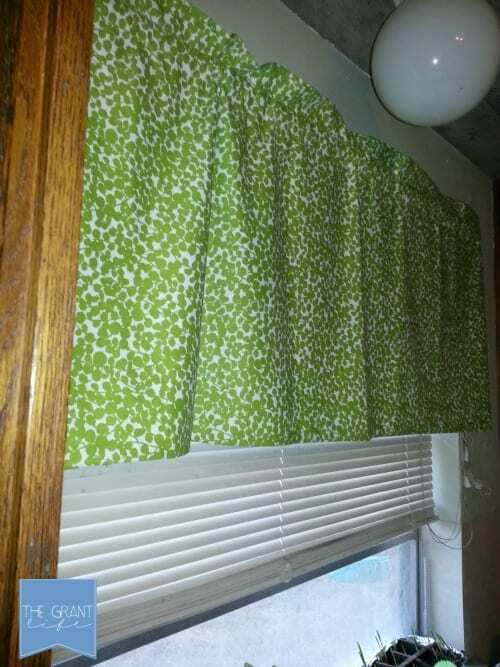 My curtains were about the same size so I lucky and didnt have to do any extra measuring. The blue fabric underneath the green I used is the old curtains from my grandmas house. They were such a big help to have! 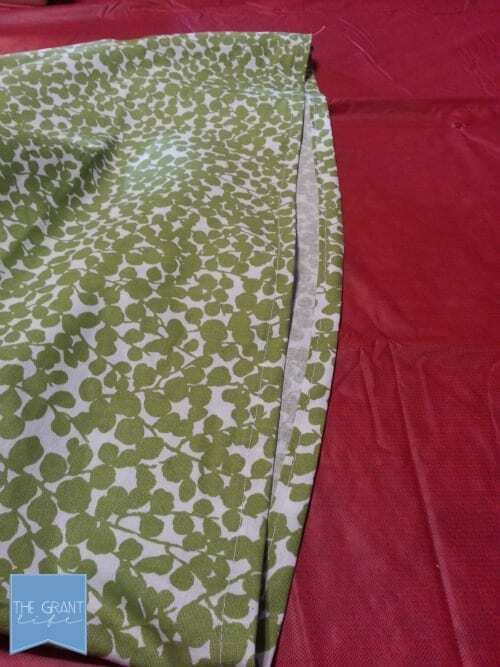 Turn your fabric inside out and pin the top part so that you are hiding the raw edge. Sew a straight line, removing your pins as you go. 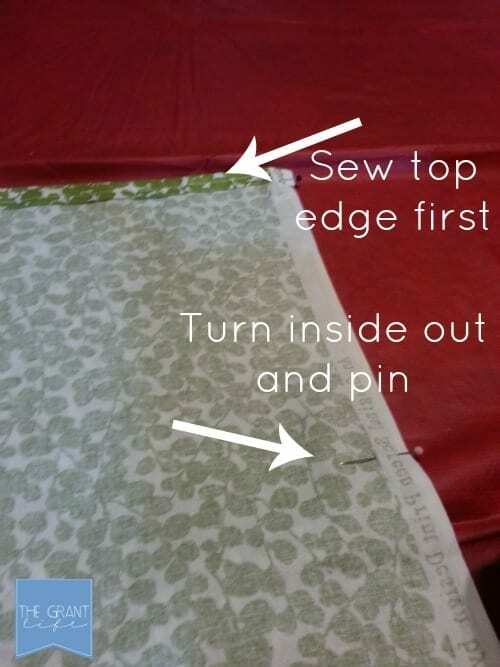 [Beginning tip – you can sew directly over your pins. I did not know this at first until my mom told me.] Pin the sides. This part is kind of tricky because you have to sew the fabric in a circle. Tuck your fabric under your sewing machine and pull it gently towards you as you are sewing. After all that sewing your curtains look more like an open pillowcase at this point. 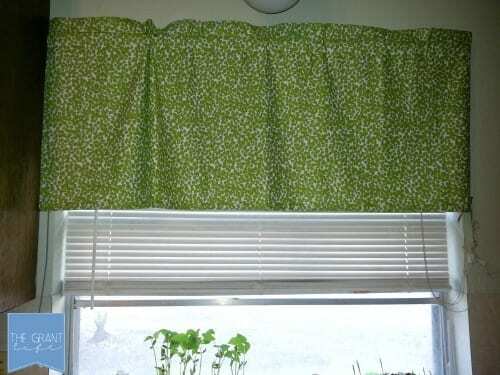 Add one more straight stitch under the top wide enough to fit your curtain rod. And viola! I’ve never done a sewing tutorial so I hope that my instructions are easy to follow. I just wanted to share my first [and favorite!] sewing project with yall. What is your favorite sewing project? Looks great! Love that green fabric! Great job!! Love the material too!! I’m like you were in the fact that I couldn’t sew a straight line. I want to sew, but just havent gotten the courage to try again. Thanks for the tutorial. You did awesome!! 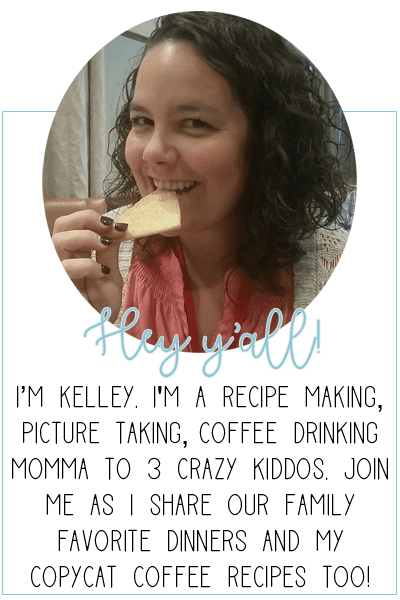 What a great job, Kelley! Love the fabric!